Hey all - spec'ing new SMB van with V10 gas engine so espar is out. I will have a standard RB 50 plan. 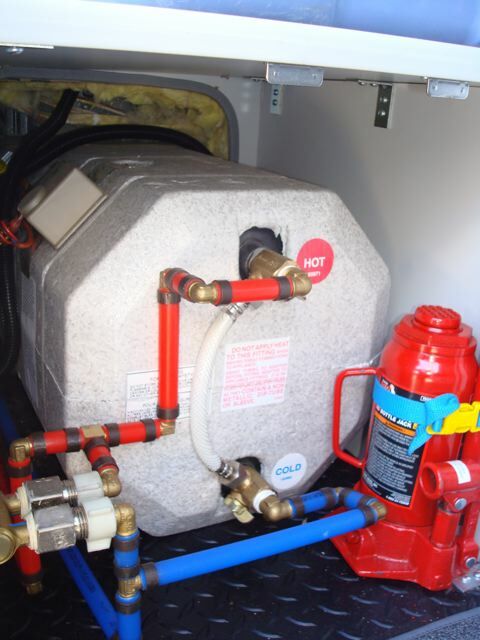 Does anyone have any problems with their propane water heater besides it takes space? Leaks, noisy when on, reliabiliyty, ... I don't know what to ask specifically. Any regrets? Any comments pro/con appreciated. Where does it actually go in the van - I think its right rear passenger side but not sure. Is there a vent door on the outside? I will have propane furnace so I'm leaning to H2O heater too but the alternative would be a flat plate. Those are the options for me because I want it built in. But I'm open to suggestions too. First, it added about 3 gallons of water to the system. 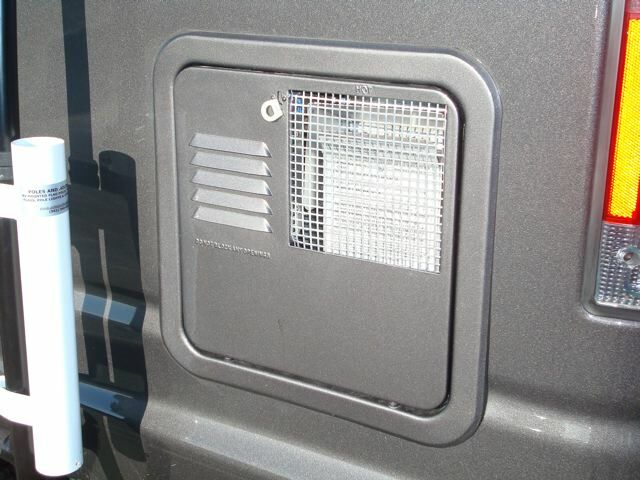 Second, the pilot light would keep the closed camper up to 10 degrees warmer inside. In warm weather, with the windows open, there was no added heat. I added a 6 gallon propane WH to mine. I teeed the propane line and ran it back. Didn't take up any space. I actually put it where the spare normally would go under the van. I can shoot you pictures if you need. kre7272 - yeah, some pictures would be awsome. What do you think about a flat plate instead of propane heater? Flat plate takes up little space i'm told, altho I don't know where it goes. Our H2O heater has an automatic igniter. All we do is open the propane and turn it on. Here's a couple of pics....ours is located on the driver side. Our pilot light would blow out going down the road. If you wanted hot water upon arrival, you would have to heat it before you go. The tank will stay quite warm for a long time. Hmmmm ...... that water tank plus plumbing takes a lot of room .... auto igniter is way to go if I get one . i'm gonna start a thread re: flat plate v. propane heater. Mine is also auto ingnite Just turn on a switch inside. Mine will also stay lite while driving. I just got home so pictures will delayed.